The National Latino Officers Association (NLOA) is proud to announce the selection of Louis A. Molina as Deputy Chief Investigator of the Kings County District Attorney’s Office, Detective Investigators Division. The NLOA is an advocacy and fraternal law enforcement organization that strives for the advancement of qualified Hispanics and people of color. And as an organization we endeavor to promote tolerance toward an understanding of Latino and other diverse cultures in all public and private agencies, especially in the law enforcement community. Louis’ appointment indicates that he is one of many up and coming Hispanic leaders that represent our community with distinction this year. His life in public service began with his active duty military service in the United States Marine Corps where he served our country with honor, and with the Montgomery G.I. Bill, Louis achieved his dream of being the first in his family to obtain a college degree. 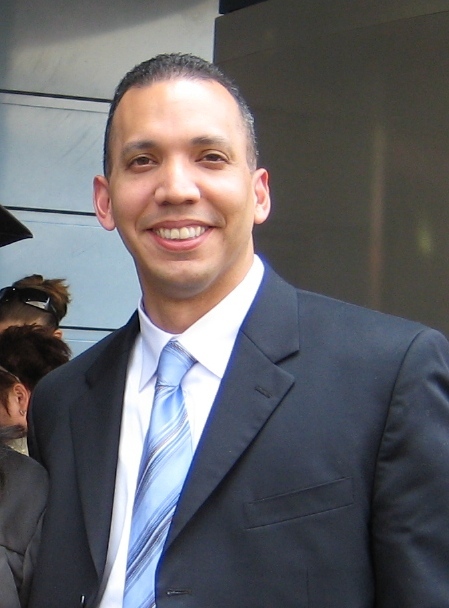 After graduating college he worked in the private sector until he was appointed to the New York City Police Department in March, 2000, with assignments in the Patrol Service Bureau, Organized Crime Control Bureau’s Narcotics Division, Internal Affairs Bureau, Police Commissioner’s Office of Management Analysis and Planning and the Detective Bureau. During his time with the New York City Police Department, Louis was an active member of the NLOA, advocating on behalf of law enforcement officers and members of various communities who experienced disparate treatment. His advocacy in many cases improved the situation that existed and allowed persons to overcome those obstacles. During his time with the New York City Police Department, Louis attended graduate school to better understand the business acumen of governance to complement his years of experience. Upon completion of his studies, Louis was selected by the United States Department of State as a Senior Police Advisor to the Mexican Federal Police. He was the first American to teach at the newly built General Ignacio Zaragoza National Police Training and Development Academy in Puebla, Mexico in support of the Merida Initiative. After his assignment in Mexico, Louis continued to contribute to the advancement of public safety, joining New York University’s Public Safety management team, which opened the first comprehensive liberal arts college campus operated by a major American research university in the Middle East located in Abu Dhabi, United Arab Emirates. His extensive years of public service are equally matched by his academic accomplishments. Louis earned a Bachelor of Arts in Philosophy from Chaminade University, a Master of Public Administration from Marist College School of Management, studied at Cambridge International Summer School in the United Kingdom and earned a Master of Arts in the study of Human Rights, from Columbia University Graduate School of Arts and Sciences, Institute for the Study of Human Rights. Louis has always placed the advancement of others as a priority. Therefore, we are proud that a member of our Executive Board has achieved so many firsts in his professional accomplishments. Please join the National Latino Officers Association in wishing him well and continued success.